Have you ever wanted to feel like James Bond, racing away from the bad guys, with the wind in your hair and adrenaline pumping through your veins? If so then this trip is for you! 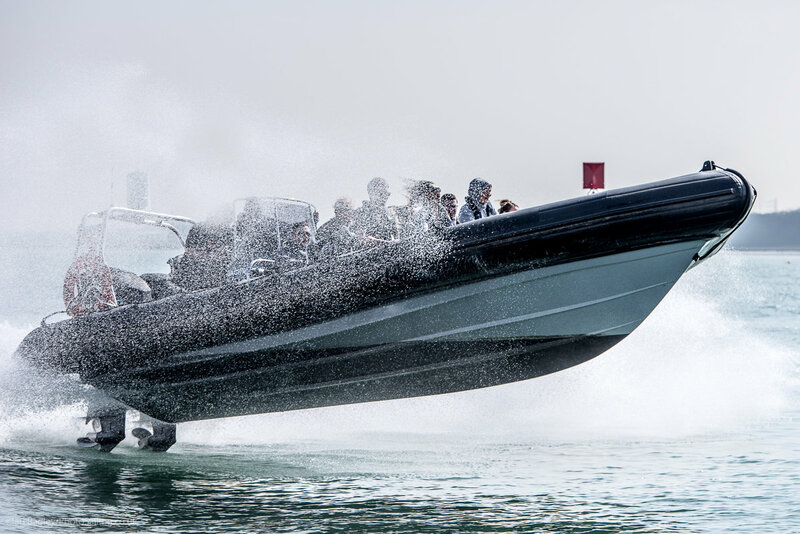 The expert skippers will demonstrate the manoeuvrability and speed of the RIBs by showing you high-speed turns, wave riding and wake jumping! Prepare to get wet as you tear across the waters of Southampton. E-vouchers will be emailed immediately. Once you have received your voucher and are ready to book, please visit booking.seadogz.co.uk or contact our office on either 01425 621995 or admin@seadogz.co.uk quoting your voucher code. Experiences and Vouchers are valid for 12 months from date of purchase.There is no cash value, and they cannot be exchanged for cash. Vouchers and Experiences are only valid with a valid receipt of purchase. Vouchers are valid for one (or more if stated on the voucher) person for one experience and cannot be exchanged. Multiple vouchers may be used. Vouchers and Experiences may be purchased as gifts and there is no limit to the amount of vouchers that can be bought. All experiences are subject to availability and advance booking is required. Refunds will be given up to 7 days after purchase provided the voucher has not been redeemed. Please note: personalised gift vouchers are non-refundable.